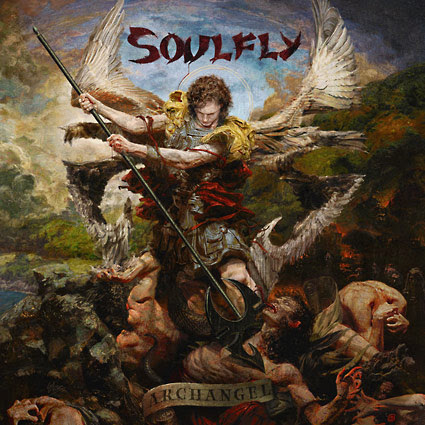 SOULFLY: detalles de su nuevo disco "Archangel"
"I've been a fan of Max's music ever since discovering Beneath The Remains in high school. When my wife and I got married 'Territory' was even played at the dance party part of our wedding. SOULFLY: nuevo tema "We Sold Our Souls To Metal"
Soulfly han anunciado que etrarán al estudio en enero para grabar su nuevo disco, que probablemente saldrá en el verano de 2018 a través de Nuclear Blast Entertainment. El álbum aún sin título se grabará con Josh Wilbur, quien también trabajó con la otra banda de Max Cavalera, Killer Be Killed, así como con ​​Lamb Of God y Gojira. 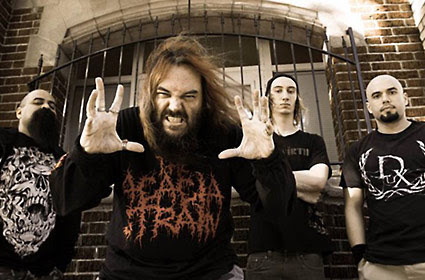 SOULFLY - to enter studio in January, hint return to tribal elements and »Roots« like concept! 2017-12-07 - Metal icons SOULFLY have announced to enter the studio in January to record the follow-up to 2015's »Archangel« which will most likely be released in summer 2018 via Nuclear Blast Entertainment. The as of yet untitled album will be recorded with Josh Wilbur, who also worked with Max Cavalera's other band, KILLER BE KILLED as well as heavy-hitters LAMB OF GOD and GOJIRA. In an interview with Backstage Axxess, Cavalera said: "I'm actually writing right now. I'm collecting the riffs right now and getting the ideas." and added: "I'm excited, because I think the album will have a little bit of a return to some tribal sounds that I haven't done since »Prophecy«. So that'll be cool, to return to some of that. 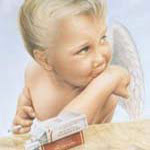 And then the rest of the album will be a continuation of »Archangel«; a lot of people like »Archangel«. And, of course, I think that it will be also somehow influenced by »Psychosis«, 'cause »Psychosis« was such a cool record that I'm sure that somewhere in the SOULFLY record we'll have the influence of that on top of it too. So it'll be a really cool record to work on." In another interview with the No Limits Music Show, he explained that the next SOULFLY album will be "deeply tribal, very spiritual. There's a concept. I cannot tell you much about it, 'cause it's kind of a surprise. But there is a concept behind the record, and I have not done a record with a concept like this since »Roots«. So this one has got the same kind of feeling that »Roots« has." Max and his brother Igor Cavalera are currently touring Europe, playing the iconic SEPULTURA album »Roots« in its entirety. »Archangel« was released on August 14th 2015 via Nuclear Blast Entertainment and charted in several territories around the globe. Soulfly lanzará su undécimo álbum, "Ritual", el 19 de octubre a través de Nuclear Blast Entertainment. 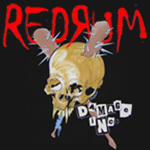 El disco fue producido, grabado y mezclado por Josh Wilbur (Killer Be Killed, Lamb Of God, Gojira). La portada es obra del artista Eliran Kantor (Testament, Iced Earth, Sodom). Marcelo Vasco (Slayer, Hatebreed, Kreator), se encargó del diseño del libreto adicional. El álbum presenta múltiples invitados, incluidos Randy Blythe (Lamb Of God) y Ross Dolan (Immolation). 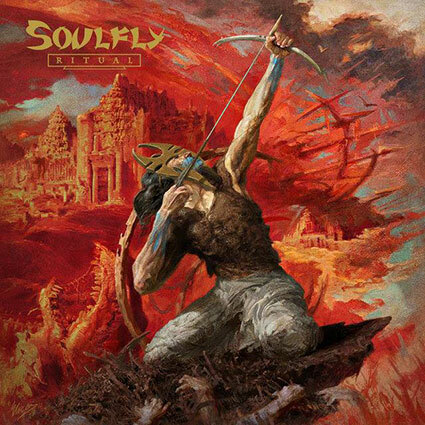 Soulfly are set to release their devastating new album »Ritual«, on October 19. Today, the band is pleased to reveal the first single from that soon to be landmark release. »Ritual« was produced, recorded and mixed by Josh Wilbur (KILLER BE KILLED, LAMB OF GOD, GOJIRA). Cover artwork was painted by artist Eliran Kantor (TESTAMENT, ICED EARTH, SODOM). Additional booklet art was handled by Marcelo Vasco Arts (SLAYER, HATEBREED, KREATOR), who also handled the package design. The album features multiple guests including Randy Blythe (LAMB OF GOD) and Ross Dolan (IMMOLATION).